He has pursued a career as both architect and contractor, and he continues to practice both. While that may sound like a contradiction to some, Santiago Gonzales is right where he wants to be. 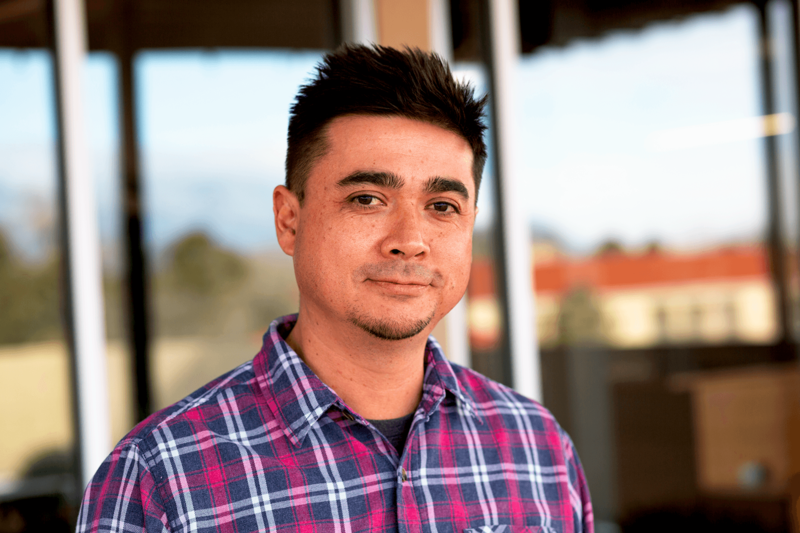 After graduating with his master’s degree in architecture from the University of New Mexico in 2011, Gonzales began his internship at a design firm. Unfortunately, his early work experiences left him discouraged and creatively dissatisfied. “The job I was at was not a good fit for me. I was ready to quit architecture for good,” said Gonzales. Instead of giving up and leaving the profession altogether, Gonzales was able to find an alternate path to a rewarding career. When Gonzales took a job with HB as a Project Manager, his decision was questioned by peers. They didn’t see how it would progress his career in architecture. HB Project Manager Steve Hall, a fellow architect turned contractor, helped Gonzales realize the change wouldn’t mean giving up his passion. “While working with Santiago at an architecture firm, prior to both of us landing at HB, I’ve witnessed his passion for good architectural design. I know he appreciates the opportunity to incorporate his background and knowledge of architecture into his job here at HB Construction,” said Steve Hall. Gonzales integrates his design expertise while managing projects from initial concept to completion. He sees his role as a revival of the master-builder approach, where design and construction are viewed as a part of the same holistic process. “I’ve become a better and more well-rounded architect because I have been able to explore the connection between design and construction,” said Gonzales. His most recent Design-Build project is a renovation that will be the future home of the Children’s Grief Center for Hope and Healing. The center will provide grievance support services to children who have lost a loved one. Throughout the design phase, he has worked closely with the organization to achieve their vision of a warm and inviting space for families. “By incorporating soft tones and natural light into the design I was able to create a harmonious space suitable for healing and grief,” said Gonzales. Now that design is complete, Gonzales will carry out project execution to ensure design intent is brought to life. He believes that his dual role puts him in position to provide a comprehensive customer experience.